The Top Pharma List's top 50 pharmaceutical products by global sales ranking is compiled from GlobalData's pharmaceutical revenue figures. 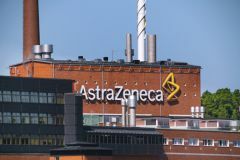 Synagis was produced by AstraZeneca and AbbVie. AZ sells a prophylactic RSV antibody - Synagis (palivizumab) - which brought in $677m in sales in 2016 despite being reserved for use in high-risk infants.